The roots for The Gospel at Colonus can be found in the classic Greek tale by Sophocles, Oedipus at Colonus. 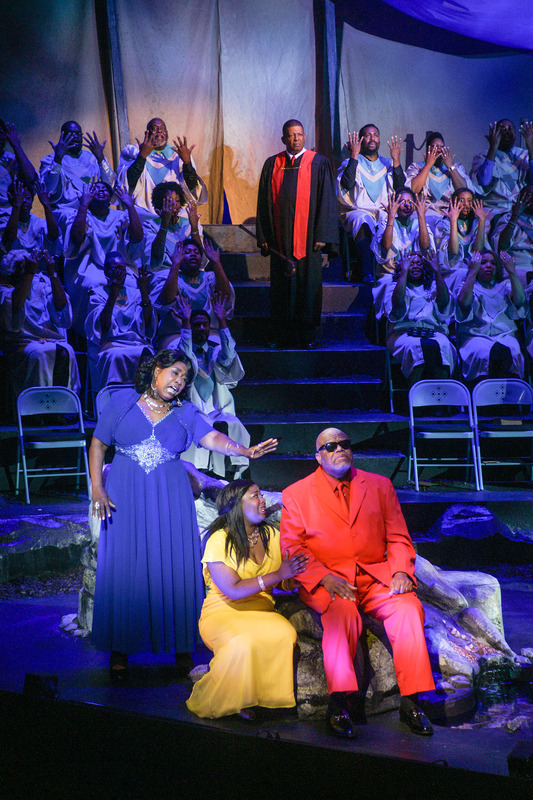 The Zach theatre’s production of The Gospel at Colonus was conceived and adapted by Lee Breuer with music composed by Bob Telson. Directed by David Steakley, the Zach’s production is a tent revival experience told in rafter-rattling, gospel style. For each of the major roles there is both an actor and a singer, and the story is acted by one and sung by the other. While I could not imagine how that would work, it did…think color-coded costumes for singer and actor. For the most part, theatre for me is not the story as much as it is the telling of the story. It is in the soaring music, the incredible voices, the grace of the dancers, the fluidity of their motion and the creativity of the production. The Zach’s production scored high in all of those areas though the story is complex enough that I found myself a step or two behind in at least one instance. Throughout the production I sat in awe at the talented performers/singers: Tim Curry who sang the role of Oedipus as well as Eugene Lee who portrayed Preacher Oedipus, Janis Stinson, Judy Arnold, Michelle Alexander, and Jacqui Cross whose voices were just spectacular and Christa Oliver, whose dance number seemed to encapsulate the very essence of wind gracefully fluttering across the stage. We sat in the “tent,” we fanned ourselves with fervor, we saw the fall, we experienced the redemption, we were on our feet in celebration, and then…the spell was broken and it was time to go. The show was over. 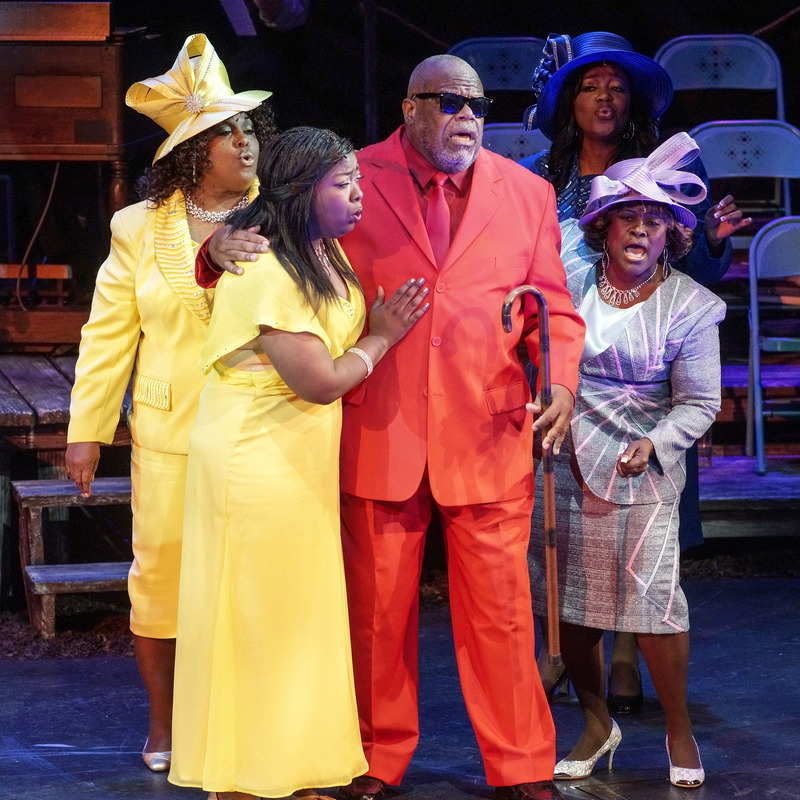 Go see Gospel at Colonus while you still can! 5 out of 5 Stars.